Well, it turns out that the models are going with the warmer scenario for Monday Night/ Tuesday. 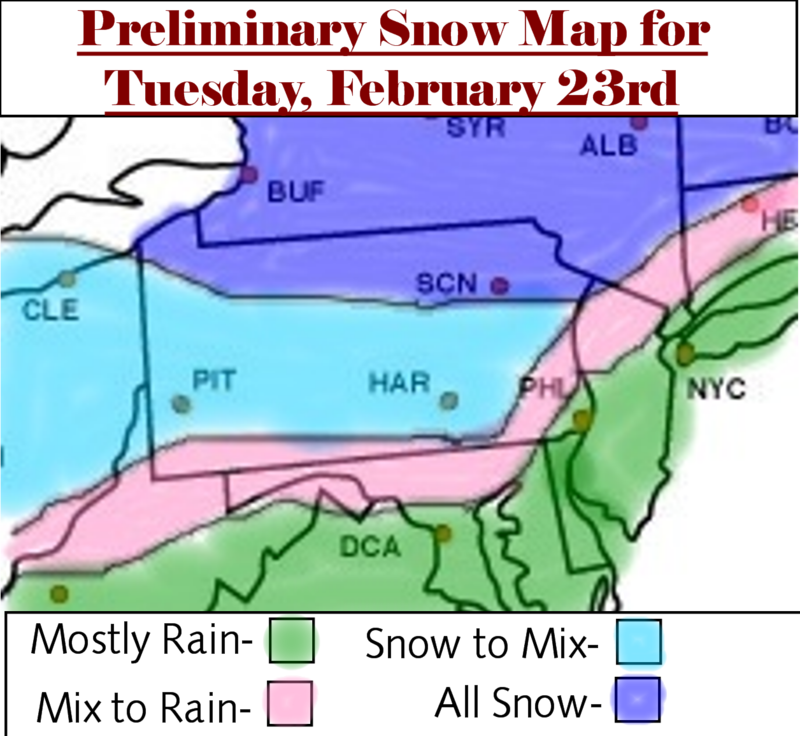 I have made my preliminary map for Tuesday based on this warmer scenario. I do still have some insecurities about this storm. The latest model runs have been colder for this storm, which would make the snow to mix line come down to the Philaburbia Coverage Area. Before I go on the “cold and snowy” bus for this storm, I need to see some verification from the models this afternoon and evening before I make the snow line further south. Looking to the future: The weather models are playing the “back-forth” game with the Thursday storm. I still think that we will get a decent amount of snow Thursday. All in all, this week is looking to be a very busy week for the weather (It could be the last week we get snow this season! ).